The Ebola virus is a deadly disease that has found its way to Nigeria, and we all need to be informed about it. 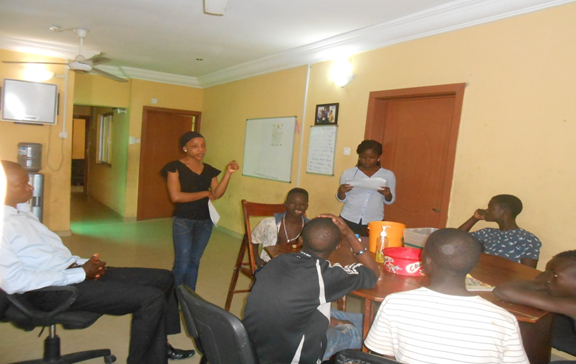 Yesterday, 13th of August, Fair Life Africa Foundation invited some of the street kids who have been visiting the home for a lecture to enlighten them about the Ebola disease, how it is contracted and how to ensure that they do not expose themselves to it while they are out on the street. Contaminated surfaces, needles or medical equipment. Impaired kidney and liver function. Ensure that any kind of physical contact with a sick or dead person is avoided. 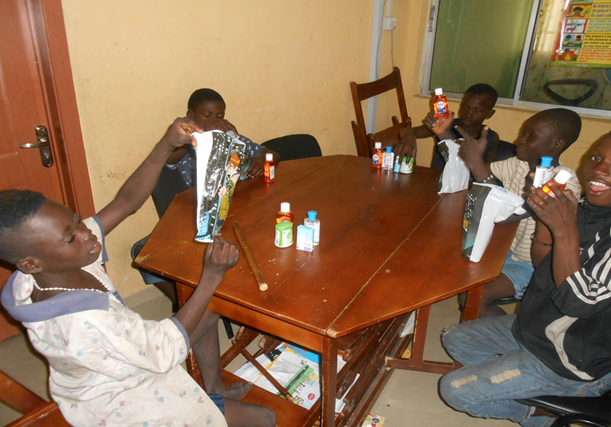 After the health talk, the boys were given a sanitary pack containing disinfectant soap, hand sanitizer, petroleum jelly/cream, and antiseptic germ killer to take along with them for personal use. Their dinner was served in take away packs for them to take along with them and transportation fare was given to them before they left. We are glad that the boys took the talk seriously. They hadn’t heard about it before, so they asked many questions on what was not clear to them, which were then explained. Hopefully, this information will be enough to keep them safe on the streets.